Day 3 was the best day of the trip. 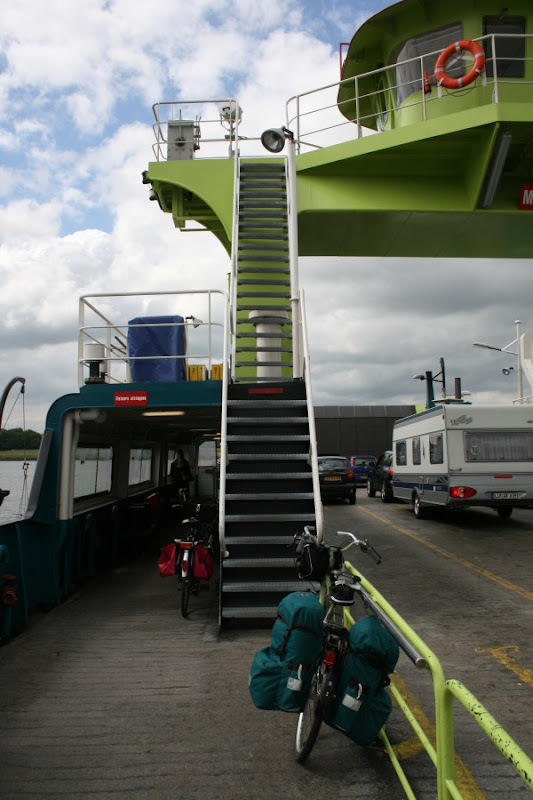 I left my campground in Delft and cycled south to Maassluis, which is on the river that leads to Rotterdam. Rotterdam is the biggest port in Europe. 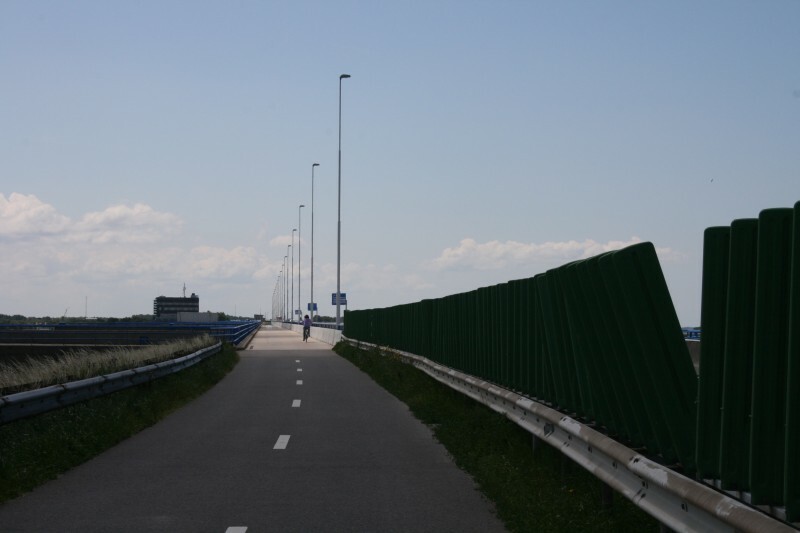 Here's the bridge where I met the river in Maassluis. Do you see the sign on the left of the pole saying "1953"? I assume that was the water level. In 1953, there was a spring tide that combined with a storm to cause major flooding. 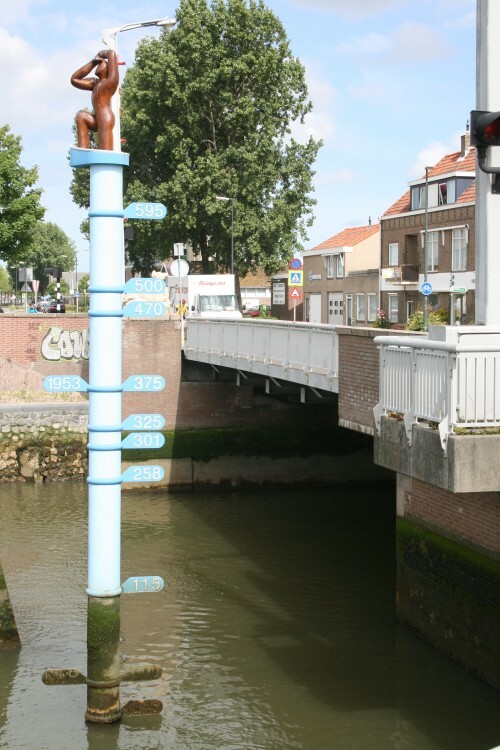 Quite a bit of the Netherlands is actually below sea level and nearly 2000 people drowned. The Netherlands responded by building a series of giant defenses called the Delta Works that run between the islands of Zeeland (or "Old New Zealand", as it should be known). 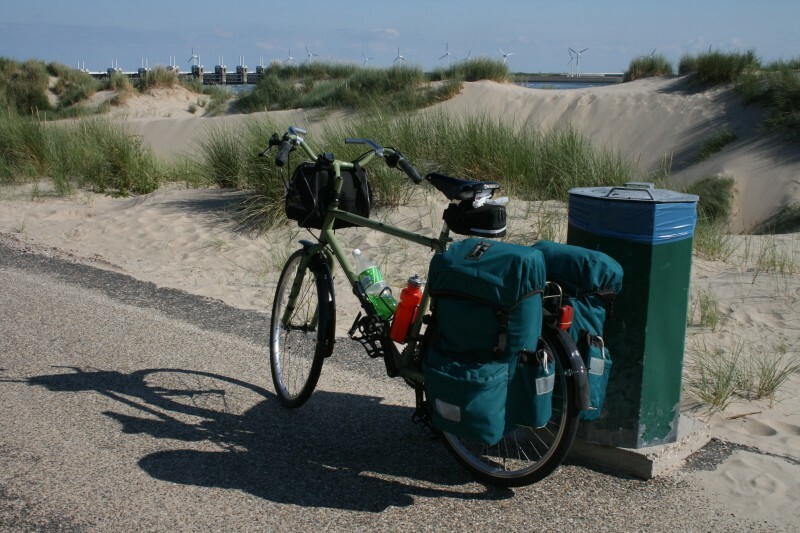 This is where I joined LF1a (the North Sea Cycle Route) which runs along the top of those barriers. I took the ferry across the river and headed south. 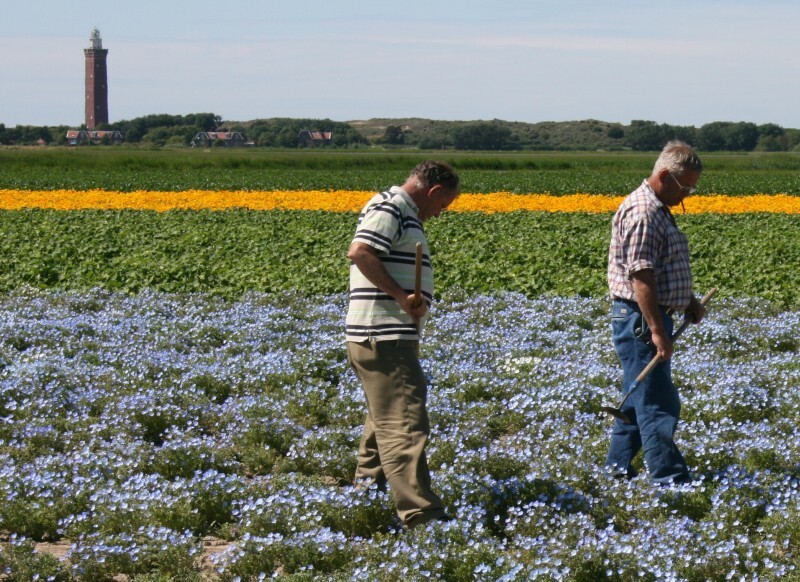 The Netherlands - possibly the only place in the world where men can picks flowers for a living and not be mocked. As I headed south, it reminded me of some of the land around Wanaka, with that baked Central Otago earth. It was pretty hot and I was cranking along so I was plowing through the drinks. At this point, I really needed a descrete pitstop, but there were bloody cyclists everywhere. Here's that high population density thing coming back to bite me. The further south I went, the drier it got. 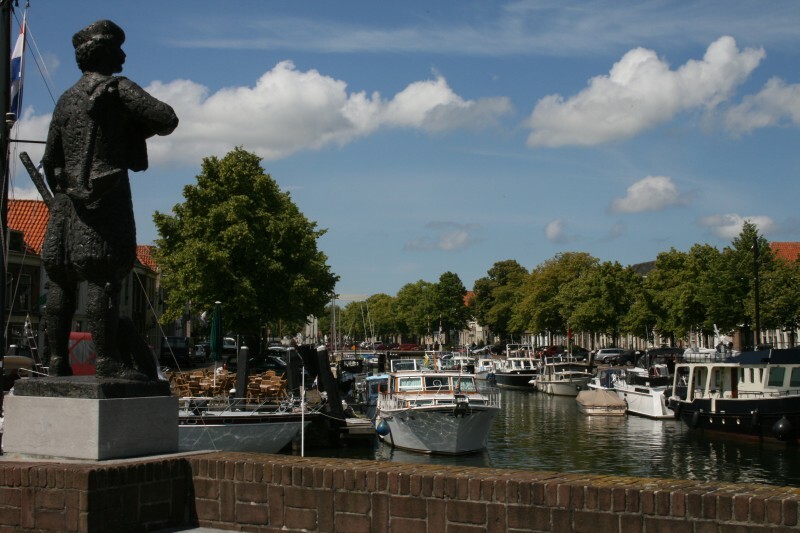 I arrived pretty late at my destination: a town called Middelburg (the capital of Zeeland) on the lowest of the islands. 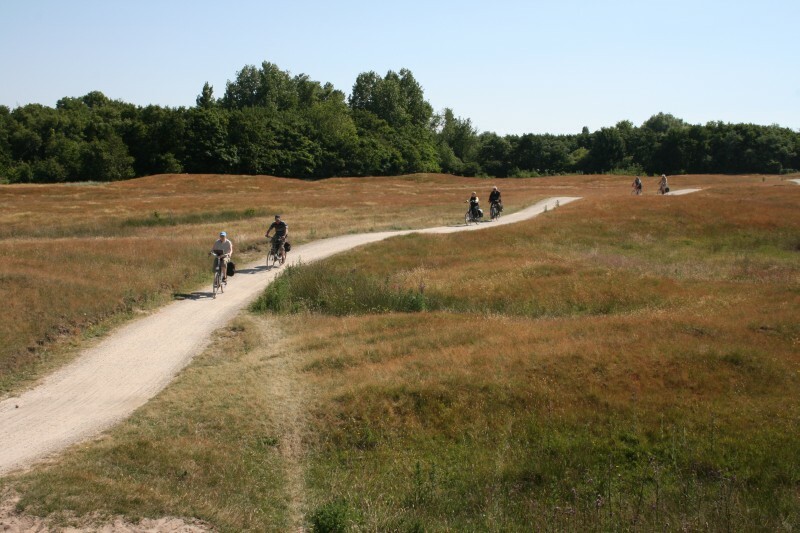 I had measured the distance with Google Earth at about 70km, but the guy at the camping ground in Delft said he thought it would be 150km. The guy in the camper on the other side said the same thing. It turned out to be 147km, so I guess we were all wrong.